KARACHI (92 News) – Muttahida Qaumi Movement has on Thursday announced its decision to withdraw from talks with the government once again. A meeting of MQM Coordination Committee London and Pakistan was held after the third round of dialogues between the MQM and the government. Addressing a press conference, MQM leader Farooq Sattar demanded the resignations to be accepted immediately. Farooq Sattar said that the government was serious about the dialogue process. He said that even after a lapse of almost 20 days no committee was formed by the government and demanded the government to immediately accept the resignations. 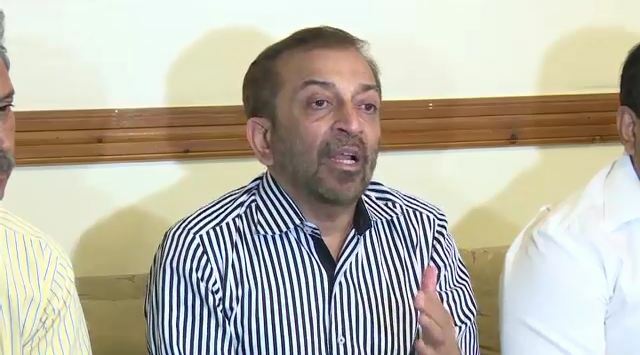 The MQM leader said that MQM was being pushed against the wall. “The party’s all political offices and unit offices are closed,” he said.